The ice fishing season will start on December 21th 2016. 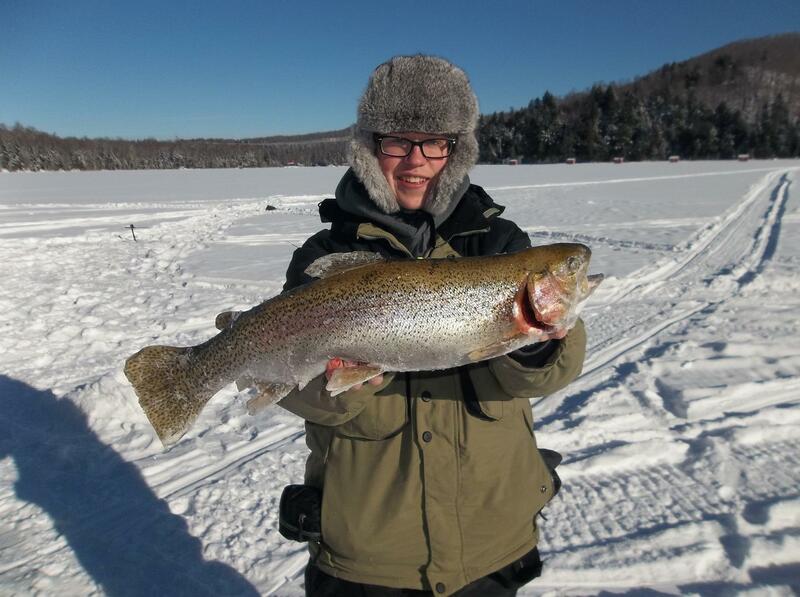 The ice fishing package included fishing right, transportation on the lake, 5 holes and 5 lines and a limit of 10 trouts per fishing liscence. Available for daily package or with accomodation. You will catch brook trout and rainbow trout. No catch and release. The fishing license is required and it’s not included in the price. Some heated hut available for the day at 30$. It’s contains table and chairs with woodstove ( wood included). For 8 adults and more it’s free.